The supreme and most sacred syllable, consisting in Sanskrit of the three sounds (a), (u) and (m), representing various fundamental triads and believed to be the spoke essence of the universe. It is uttered as a mantra in affirmations and blessings. Arriving in China to study with John Scott, I chanted more Oms than you could shake a proverbial stick at. And it gave me lots of opportunity to really think about – and more importantly to feel ­– what Om means. I know when I first started yoga, I tended towards sitting out the chanting and hoping nobody noticed because their eyes were closed. Now I’m teaching it seems that a lot of people initially do. Maybe that’s because we (not unreasonably) don’t want to say stuff we don’t understand and are not 100% behind. Om sounds kinda magical. We don’t want to start singing it and end up accidentally affiliating ourselves with black magic, the wrong religion or even any religion, if the G-word isn’t your cup of chai. But we shouldn’t panic… Although for many people chanting Om does resonate with their idea of ‘God’, the Divine or that which is greater than ourselves, if you push out your feelers into what is a surprisingly vast subject for a 2-letter word you’re certain to find an interpretation which sits comfortably. 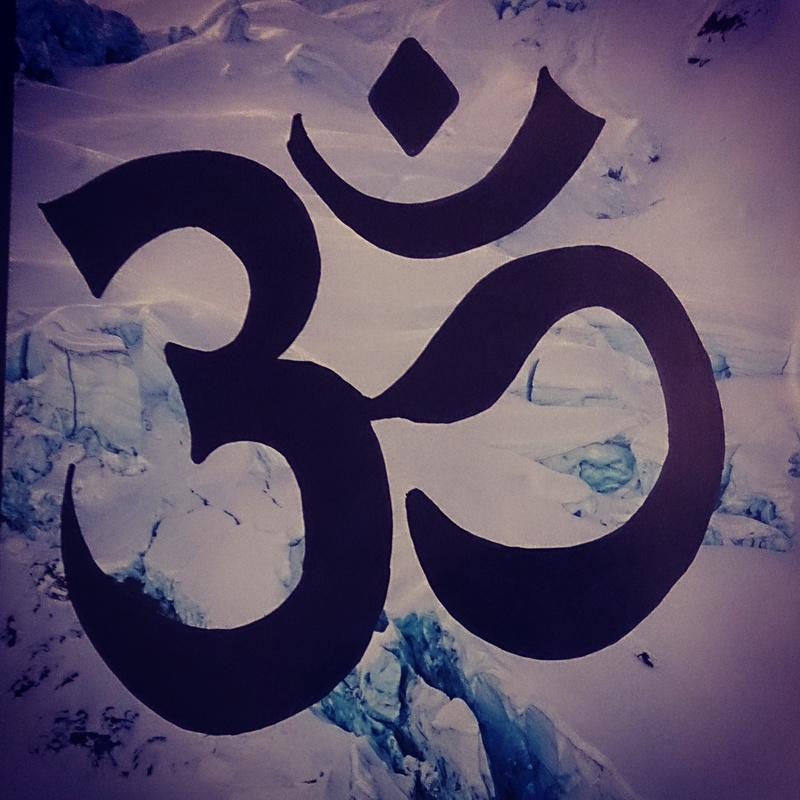 A mantra of Hindu origin, Om is often described in yoga as ‘the sound of the Universe’ or the primordial sound of creation. Great if you’ve already know what you’re om about (sorry…) but otherwise, it’s a little vague. How can one little Om be the noise that represents everything, everywhere, ever? The first way to think about Om is to break it down into the way our mouths form the sound: AUM. Here, A, the beginning of the sound – made at the back of the mouth – symbolizes the beginning of the Universe. U, the middle of the sound – resonating in the middle of our mouth – symbolizes the ‘maintenance phase’ of the Universe; the bit we’re enjoying right now. And M, the end of the sound – made at the front of our mouths with our lips – symbolizes the eventual end of the Universe. Another way of thinking about Om and the Universe is that each and every little piece of the Universe is constantly resonating with the sound of it. That stone on the path? It’s vibrating with Om. The earth and the flowers and the leaves that surround you? Also vibrating with Om. Each and every cell in your body? Also Om-ming along in a tiny-but-sublime cosmic harmony. Because it’s all, essentially, the same. We are all the same. Formed from (admittedly second hand) stardust stemming back to the Big Bang and the beginning of time. And so it is (!) that we are reminded of the whole reach of existence in this one crazy little sound. Not, of course, forgetting the ‘…’ , or the silence after the last ‘mmm’s are done buzzing. This is where the real magic happens. This is the space, the emptiness, that which comes after and that which we always return to. Because without the silence, Om cannot be repeated.